Join us for an evening with Professor David Gray. We will talk about the history of religious interactions between China and Tibet, culminating in the fascinating Samye debate between Kamalashila and Dharma Master Mo-he-yen. We will discuss the impact this had on Tibetan Buddhism, most notably on the Dzogchen and sutra-based Mahamudra contemplative traditions. 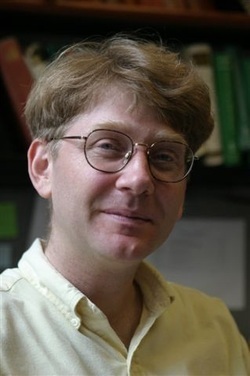 David Gray is an Associate Professor at the Religious Studies Department at Santa Clara University. He received his B.A. in Religious Studies from Wesleyan University and his M.A. and Ph.D. in the History of Religion from Columbia University. His research explores the development of tantric Buddhist traditions in South Asia, and their dissemination in Tibet and East Asia, with a focus on the Yogini tantras, a genre of Buddhist tantric literature that focused on female deities and yogic practices involving the subtle body. He focuses particularly on the Cakrasamvara Tantra, an esoteric Indian Buddhist scripture that serves as the basis for a number of important Nepali and Tibetan Buddhist practice traditions.